She is a very outgoing, confident & always willing to go above and beyond! A petite frame allowing her to play a varied age range, she has a wealth of experience in theatre work, television, dancing and singing has pushed her to follow her dream of entertaining. Tia just recently past her dance exams with Distinctions/Merit & is very flexible in her movement, she has attended Italia Conti performing arts, Westendstars, Glendale performing arts school & currently Wendy Whatling School of Dance. She has also attending Performers College Summer/Easter school along with Laines Easter school to keep the routine of the stage ethic alive and gain experience. She has been selected for Performers college Elite Squad and trains monthly at the Uni. Grease (As Cha Cha), The Little Mermaid, Mamma Mia, School of rock, Matilda, Cinderella, Legally Blonde, Fame, Chicago (Dance Captain) and now Chitty Bang Bang with The Brighton Theatre Group. Sleeping Beauty (Being 1 of 4 Senior Girl Dancers/Singer partnering professional dancers). Tia has just completed dancing for Motionhouse Touring Dance Company for Horsham's district year of culture 2019. A weeks intensive course learning circus skills/techniques that she thoroughly loved. Her C.V also includes commercial work for Nintendo and Peter andre's TV documentary "My Life'. Tia has enjoyed doing modelling shoots, charity events, working seasonal for Bstarz performing arts as a Student teacher/character host doing meet and greets and parties as Belle & Anna. Tia brings a special kind of magic to any event and people warm to her very well. She hopes to continue entertaining and to pursue her career in the Arts by attending Performing arts College & then Uni for her Degree! The last few years has taught Tia a lot within the industry and she works so hard on every role, no matter how big or small she puts her heart into it! She takes direction well but can also teach and choreograph her own ideas. 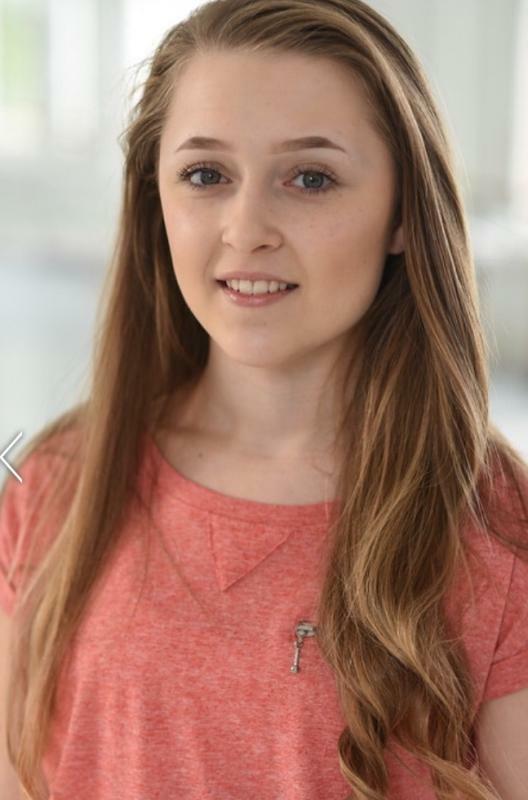 Tia has weekly lessons of Ballet, Contemporary, Tap, Jazz, Heel work, Commercial, Contemporary Drama/Musical theatre, she also enjoys trampolining, body conditioning & Singing. Recently passing exams with distinctions/merits! She has lesson's for Drama, Singing and Dance at the weekend. She has trained at Italia Conti, Westendstars performing arts, Glendale performing arts school & currently attends Wendy Whatling School of Dance. Tia is a very versatile performer and is always eager to show off her skills. She works to her full potential & takes direction well. Tia has just finished her group festival group dances winning them all with hons and competing for All England. Tia does trampoline/ tumbling classes in which she does (walk overs, hand stands, splits/box splits & over splits). Extremely flexible young lady and is open to anything new. She is team captain of her school PE department and also team leader of the dance department.